A Boeing 747 freight plane carrying 100 tons of live lobster took off from Halifax, Canada at 9:38 on July 21st. 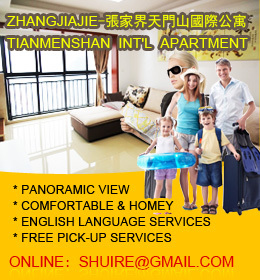 After 17 hours’ journey, it arrived at the Huanghua International Airport in Changsha. It marks the official opening of the Changsha-North America regular continental cargo airline, the first of its kind in Hunan Province. Its flight route is Changsha – Chicago, USA – Halifax, Canada – Changsha, with a flight load of 100 tons. It is expected to have three chartered freight planes flying between Changsha and North America every week. Henceforth, this flight will gradually increase the imports of high-quality seafood products from North America, including oysters, salmon, king crab, snow crab, blue crab, yellow crab, and tuna. Upon arrival at the Huanghua International Airport, these imported seafood will be dispatched to cities like Changsha, Beijing, Shanghai, Guangzhou, Shenzhou, Haikou and Chengdu. Part of the seafood will be temporarily kept in the holding pool of Comprehensive Bonded Zone at the airport to be allocated, processed and packaged. The majority of the chartered cargo returning from the Huanghua airport are high-quality local products of Hunan Province, such as clothing, electronic products, mechanical equipment, and cross-border e-commerce goods. According to Nian Nian You Yu Group, the operator of this airline, after its opening, the market price of the seafood products of this enterprise is estimated to drop 5% to 10% on the whole. It will bring great benefits to the consumers. Fire-fighting vehicles spray water to welcome a cargo plane at the Huanghua International Airport in Changsha, capital of central China’s Hunan Province, July 21, 2018. 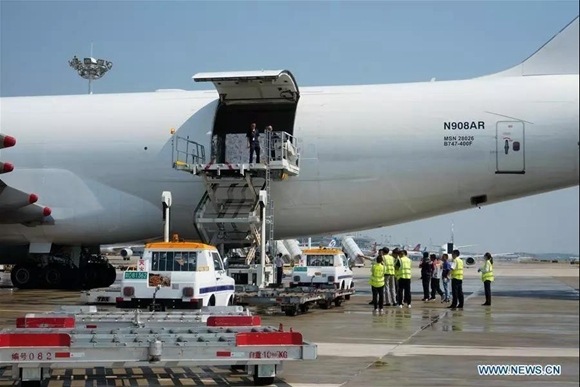 The Changsha-North America regular continental cargo airline, the first of its kind in Hunan Province, made a successful trip on Saturday. Three chartered freight planes flying between Changsha and North America every week are expected to shorten transport time and lower operation cost.